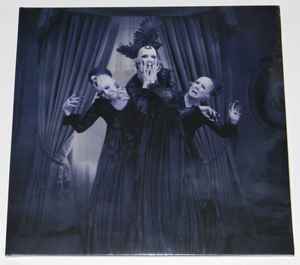 Sopor Aeternus & The Ensemble Of Shadows ‎– Have You Seen This Ghost? There are NOT 5 versions of this album, just 3: a limited CD+DVD edition, a vinyl edition, and the regular CD edition. Buyers had the choice to purchase a T-shirt with their copies, should they wish to, but that does not make it a different edition. Delete those, I say. Same goes for the other 2 parts of the Ghost-Triptychon.